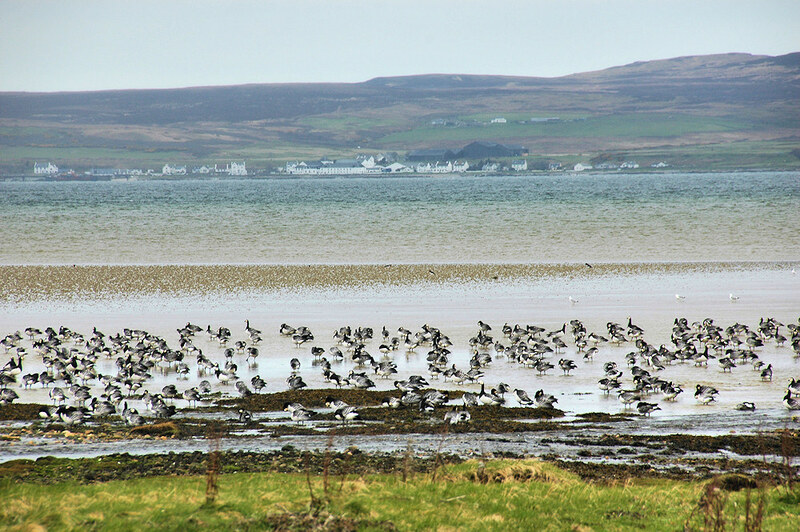 Two of the things Islay is famous for (at least at this time of the year): In the foreground a tiny part of the 40,000 Barnacle Geese wintering on Islay, in the background on the other side of Loch Indaal is Bruichladdich with one of the eight distilleries on the island. This entry was posted in Cloudy Weather, Distilleries, Landscape, Repost, Sea Loch, Village, Wildlife and tagged Barnacle Geese, Bruichladdich, Islay, Loch Indaal by Armin Grewe. Bookmark the permalink.